Pittsburgh, Pa. native Julian was your everyday guy… but, he had a houseguest problem. Julian’s “little” stink bug problem was quickly turning into an infestation. 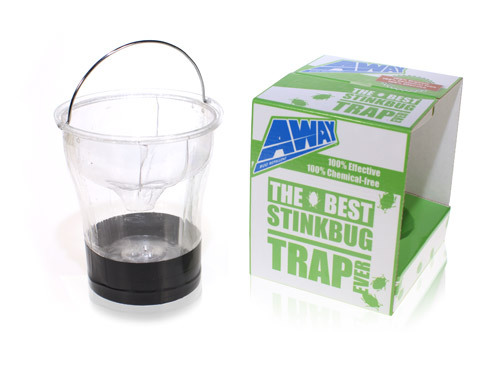 He needed a way to permanently evict his uninvited tenants without creating a big stink! Julian Smith was your average, everyday person, just like you and me. But, Julian had a massive houseguest problem. Julian’s home was being overrun with stink bugs! True, there are a lot of bug repellents and traps on the market; unfortunately, nothing worked at getting his uninvited guests to leave. Julian knew there must be a better way! So, he took matters into his own hands and created an at-home stink bug trap out of an empty soda bottle. The crafty Pennsylvania native brought his idea and working model of a stink bug trap to Davison.